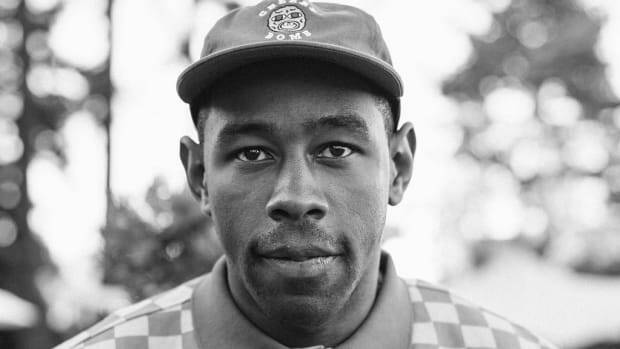 Tyler, The Creator has a mind that exists in a completely different universe. There’s a boundless imagination imprinted in his every venture: music, fashion, even his Golf Media application is handled with a complete disregard for conventional thinking. Out of everything he’s done in his short career, the biggest, most ambitious project has been the Camp Flog Gnaw carnival. For the last five years, the carnival has become an annual event of epic proportions. Where else could you get a skate park and Danny Brown, food and rapping by Action Bronson, Pharrell Williams and whack-a-mole, Kanye West and Ferris Wheels? It&apos;s a true bridge between music festival and outdoor carnival. 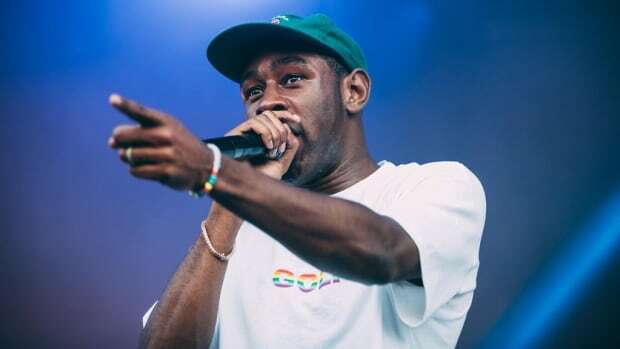 During the third annual festival, Odd Future’s Taco gave Fader a tour of the festival grounds. During his commentary, he described the festival as, “Tyler’s brain threw up on Los Angeles.” When you look at a ride like the zipper - an actual ride that resembles a whistle that sits in the air and flips riders back and forth - the design looks rather ridiculous, something out of a child&apos;s mind, but despite the outrageous appearance, the ride appears to be one that’s enjoyed. The skatepark is another addition that I have yet to stumble across at any other music festival. The gap between hip-hop and skaters has never been a large one; Odd Future was a group adamant about bridging the worlds closer. Tyler’s skatepark is huge since the festival is music by underground and mainstream rap, with a touch of R&B and alternative groups. Tyler’s fans are diverse in age and race, taste and culture, he’s created the perfect atmosphere where there’s something for everyone, and yet, everything he does is strongly based on his own passions. To attend Camp Flog Gnaw is to walk through the fantasy world of Tyler’s imagination. The most compelling reason to attend Camp Flog Gnaw is for the musical guests. 2012 was when the carnival was almost strictly Odd Future. It’s also the last carnival that Frank Ocean was a part of. Not only did you get all of OF, including Frank, but also Trash Talk, Mac Miller, ScHoolboy Q and Flying Lotus. You could see it then, Tyler had intentions of making the festival much bigger. Especially after Kanye’s surprise appearance. He wasn’t the headliner, but his participation showed that it was impossible to predict who Tyler could potentially have in his pocket for the years to follow. 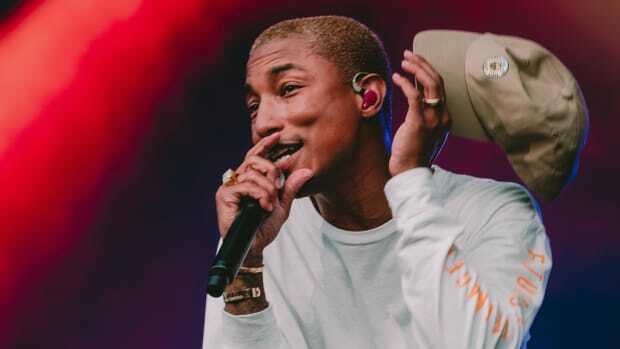 2014 brought Pharrell as the headliner (with a huge N.E.R.D reunion), and even Rick Ross took part along with Freddie Gibbs, Murs, Vince Staples, and Step Brothers. 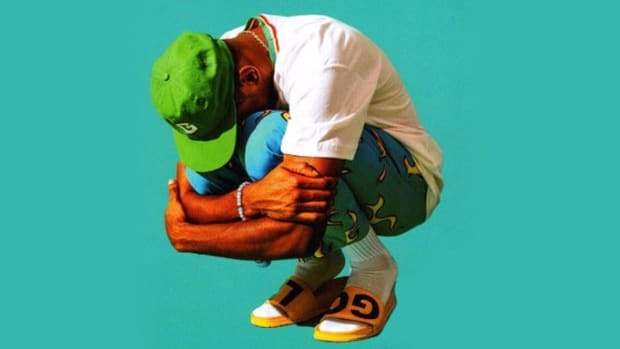 Tyler’s love for Pharrell is well documented, to have his idol headline his carnival was a huge personal victory, but also another great example of how big the festival was getting. 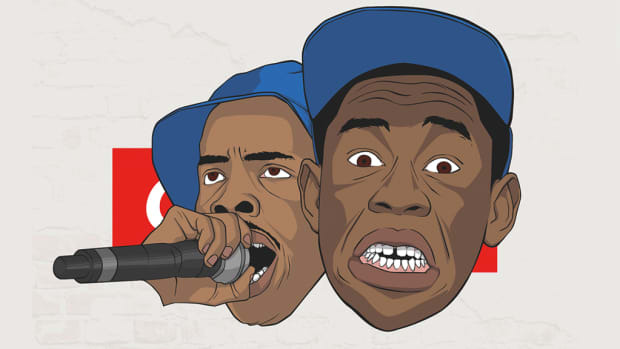 This wasn’t just an Odd Future show anymore, it was much bigger than that. 2015 was the biggest most diverse show yet - Snoop Dogg headlining, along with A$AP Rocky, Flosstradamus, Jhene Aiko, Tha Dogg Pound, Living Legend, and more. Tyler stated 30,000 tickets were sold, proof of his power to not only put on a huge show, but bring people out. The 2016 Camp Flog Gnaw lineup was announced yesterday. Before any big names were drooled over, one noticeable detail on the flyer was the fact it would be two days. A first for the festival. Expanding into another day, Tyler has upped the ante. Out of all the festivals I’ve seen this year, Camp Flog Gnaw might have the best lineup: Lil Wayne, Erykah Badu, Chance The Rapper, Kaytranada, Toro Y Moi, Death Grips, Joey Bada$$, Sremmlife Crew, SZA, Kevin Abstract, and more. I noticed that some of the Odd Future members like The Internet, Domo Genesis, Mike G, and Left Brain are all on the bill, but once again Earl and Frank Ocean are both missing, and for the first time no Hodgy Beats. Last year at the festival is when Hodgy went on a rant about Tyler. Even though the two seem to have patched things up, he won’t be returning this year. More acts are to be announced, so who knows what special guests will be announced in the coming days. Tyler is an artist that is judged for his actions of the past. I understand if people don’t like him, or his music, but there’s no denying he’s been throwing one of the best festivals you could possibly attend. Especially if you’re a bit younger. 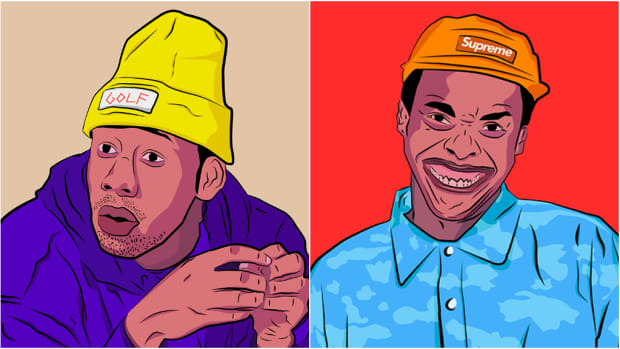 Odd Future are far more family friendly than during their humble beginnings. Even for the early-twenty adults, the line up is alluring enough to spend a few days at camp with the kids. Festival season is an exciting, expensive time for music lovers. Your time is precious, your money is valuable, don’t just pay for a show, pay for an experience. 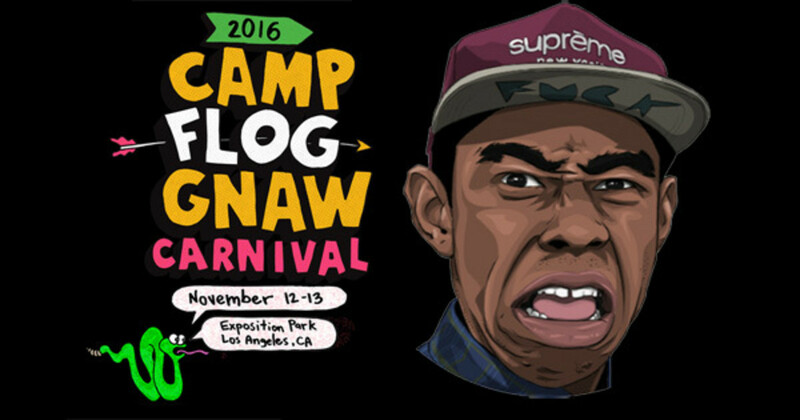 Camp Flog Gnaw is an experience, one created from the mind of Tyler, The Creator. His unorthodox imagination has given birth to a playground that is guaranteed to be unlike anything you’ve ever witnessed. 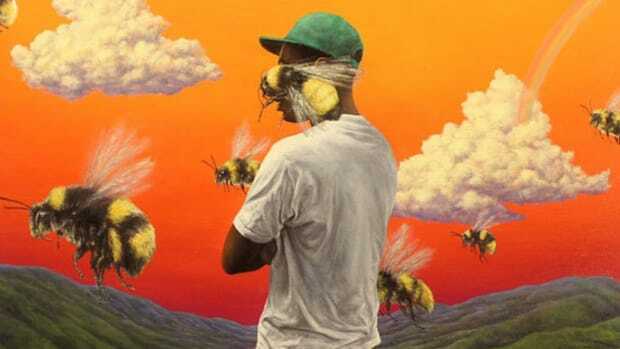 Tyler is hip-hop's Peter Pan, and 'Flower Boy' is his brightest, most mature and magical album to date.